Since 1987, more than 143 million patients have found relief from knee pain thanks to a knee Supartz injection. At Denver Physical Medicine & Rehab, we provide Denver Supartz injections for patients who suffer from chronic knee pain from osteoarthritis. What Is Supartz and a Supartz Injection? Supartz is a natural chemical made of highly purified sodium hyaluronate, which comes from rooster combs. When injecting Supartz directly into the knee, it acts like an “oil” to lubricate and cushion the knee joint. A typical course of treatment consists of five weekly injections and provide long-lasting pain relief for arthritis sufferers. Hyaluronate occurs naturally within our bodies, and it is found in especially high concentrations in joint tissue and the fluid that fills the joint. It is necessary for proper joint function and to lubricate the joint and absorb shock. In patients with osteoarthritis, there is typically a reduction in hyaluronate. This contributes to pain and decreased mobility. Supartz injections are frequently used to relieve knee pain caused by osteoarthritis. It is the most commonly prescribed joint fluid therapy in the world, and it is often effective for patients who have not achieved the desired results from exercise, physical therapy in Denver or pain medication. 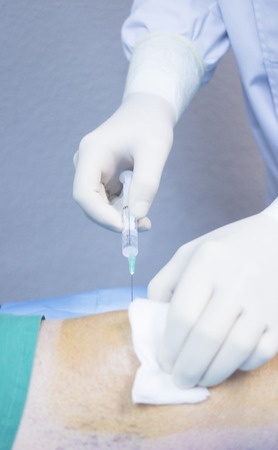 When you visit Denver Physical Medicine & Rehab for knee Supartz injections, we will numb the skin and subcutaneous tissue prior to injecting Supartz into your knee joint. Discomfort from the injection can typically be managed with over-the-counter pain relievers. You should avoid jogging, being on your feet for long periods of time and heavy lifting for 48 hours following the injection. Many patients begin experiencing relief following the third injection, but you may need to complete the entire series before you receive the maximum benefit of Supartz injections. The results can last for up to 12 months. If you are suffering from chronic knee pain from osteoarthritis, please contact Denver Physical Medicine & Rehab today. Call 303-757-7280 to schedule your free initial consultation.